Approved by the Good Housekeeping Institute this stylish Creative Tops Pisa Cafetiere will suit any copper coloured kitchen and add a touch of elegance to it’s surroundings. 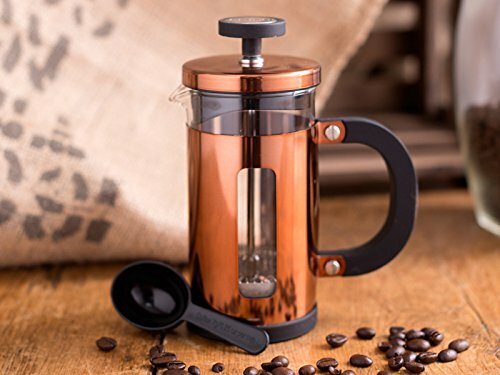 The copper finished steel frame holds the heat-resistant borosilicate glass chamber in place and the soft touch handle makes pouring the coffee easy and comfortable. 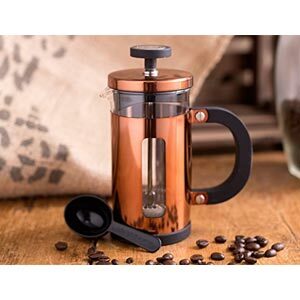 Able to make up to 3 cups of coffee at a time the Creative Tops copper coffee maker ensures a full and fresh taste to your coffee every time the french press is used. 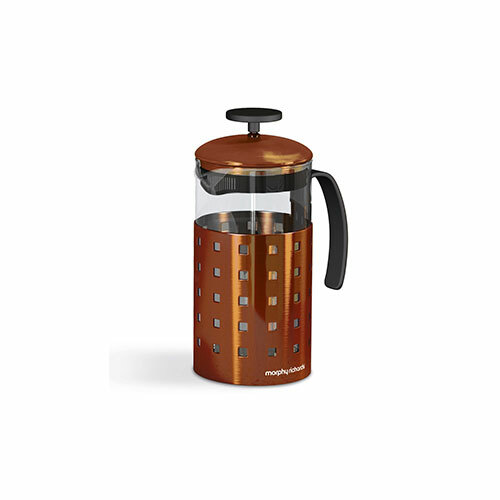 The copper french press comes with a small plastic scoop included. Also available from Creative Tops is a larger sized 1000 ml 8 cup coffee maker.